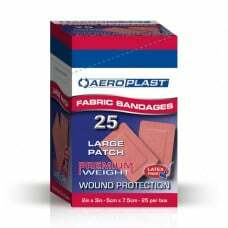 AEROPLAST Large Patches are ideal for cuts and abrasions. They are Latex Free and Hypoallergenic with unparalleled adhesive performance; without leaving residue. They comes in the new dispensing system – AEROPLAST™ Vend™ range.